Easing the complications and reducing the cost of international trade has many positive benefits, though once again, technological disintermediation will result in lost jobs. IBM Blockchain provides clearing and settlement of trades on a single network in real time. International payments can be costly, laborious, and error-prone. Transactions in different currencies that require multiple intermediaries can take weeks. The economic impact of improving the flow of both money and commerce to modernize payments and provide financial access could extend financial services to one billion people by 2020. IBM Blockchain enables direct payments between two parties in any currency. 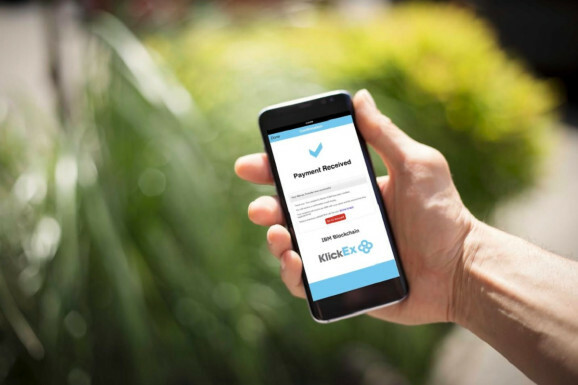 IBM is announcing that it has created a new cross-border blockchain payments solution with KlickEx Group and Stellar.org. The move is designed to improve efficiency and reduce the cost of making global payments for businesses and consumers.